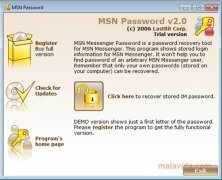 MSN Password is a simple application that will allow you to recover your MSN Messenger password. If you use so many email accounts that you have forgotten the password for one of them, MSN Password may come in very handy. This tool will allow you to recover the information stored on your computer that is related with passwords. 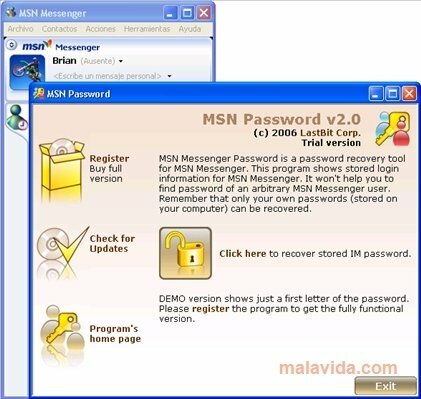 For MSN Password to work it is fundamental to launch it on the same computer on which you usually use MSN Messenger, because it looks for the password on the system on which the instant messenger application has been launched. 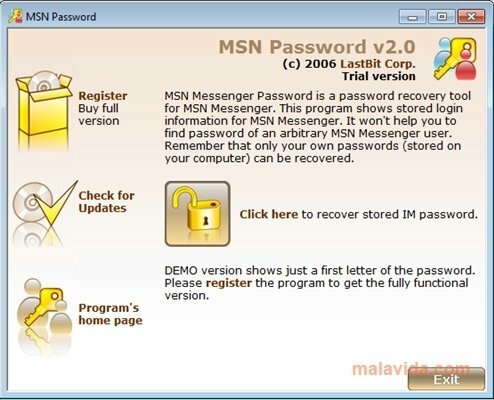 To recover your password you will only have to click on the application's button, and if you have ever launched MSN Messenger, it should find the password. MSN Password can be very useful for people that handle many email accounts. In those cases, it is very easy that you may forget one of the passwords. 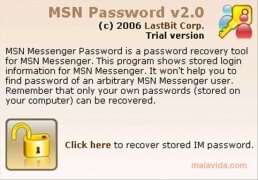 MSN Password can't be used to find out another user's password, only to recover your own password. 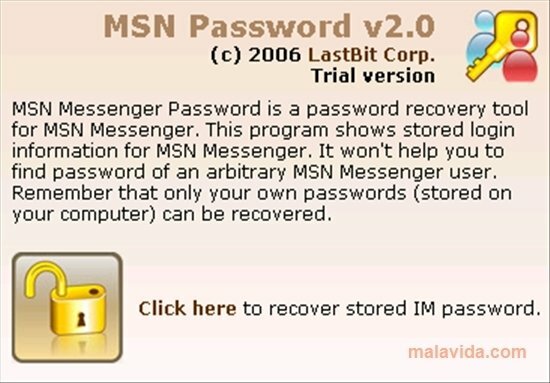 If you can't remember your MSN Messenger password, use MSN Password to easily recover it.